Claire's is going out with the old and in with the new! That means more for you for less outta your pocket! 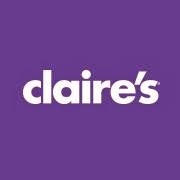 Right now you can get 75% Off Clearance at Claires.com! These prices only last through Sunday tho and as always, once it's gone, it's gone! Click on the picture below to start shopping!